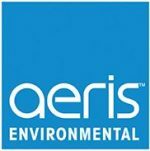 AerisGuard – removable film for coating rangehoods and AerisGuard products for air-conditioning and refrigeration systems. Cleaning is an important sub section of all HACCP programmes for all healthcare and food and beverage business’s ability to manage procedures, meet measurable standards and document its performance is critical to its maintenance of HACCP accreditation. The fusion of local knowledge and global expertise ensures that Initial Hygiene can continue to be Australia’s leading hygiene solutions brand. Initial’s core goal is to increase the standards of hygiene for businesses everywhere. Our range of services ensures that washrooms and high traffic areas are hygienically safe; ultimately improving the performance of your business in providing greater hygiene security.